Nikolle has performed numerous narrations and character roles. In her own podcast, Audio Literature Odyssey, she narrates classic literature by the likes of Austen, Poe, James, and more. Nikolle has also performed contemporary narrations and characters of horror, fantasy, crime, and science-fiction for a number of popular and award-winning podcasts, such as: The NoSleep Podcast, Tales To Terrify, StarShipSofa, Far-Fetched Fables, Congeria, Manor House, and Crime City Central. 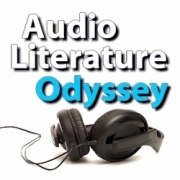 Join voice actor Nikolle Doolin on Audio Literature Odyssey, as she brings the pages of classic literature to life in this engaging literary podcast. Enjoy a myriad of great authors such as: Jane Austen, Edith Wharton, Henry James, Emily Dickinson, Edgar Allan Poe, Shakespeare, and others. Listen to novels, short stories, and poetry, such as: Persuasion by Jane Austen, The Yellow Wallpaper by Charlotte Perkins Gilman, The Poetry of Emily Dickinson, and more.